The most prized fish species for fly fishing are brown trout, grayling, marble trout and rainbow trout. Lately, fishermen like to fly fish for pikes and huchens, the endemic of the Danube basin and the largest Slovenian salmonids. 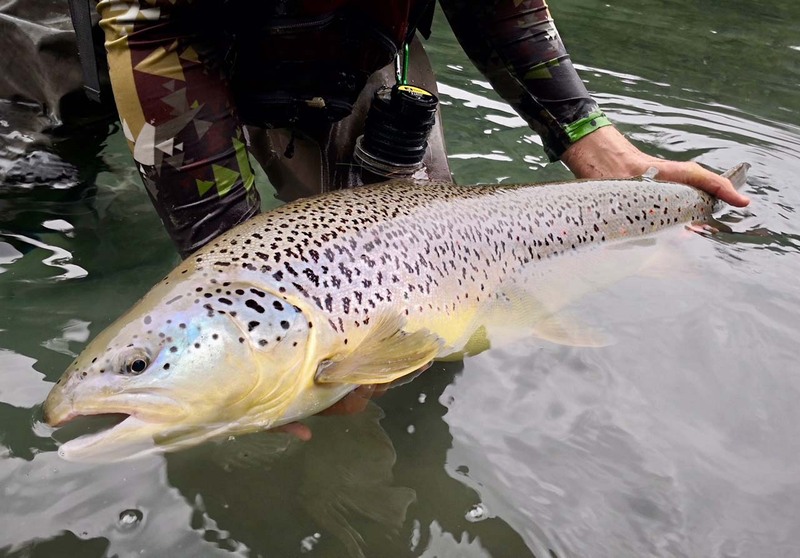 The brown trout was 80 cm long and was released immediately after the photo was taken. You wonder where it was caught? Look at the river.